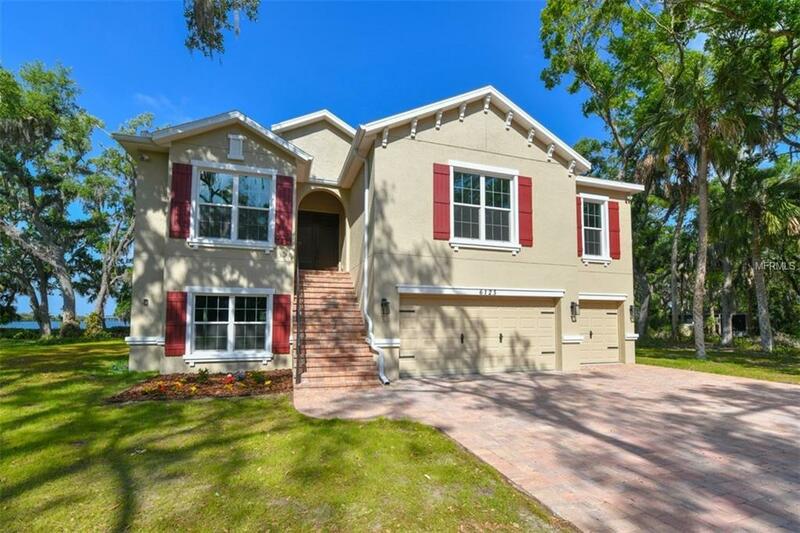 Wonderful opportunity to live in this beautifully bright & open, 2018 custom built home with state of the art appointments & materials in an Old Florida setting and...no deed restrictions or HOA fees. 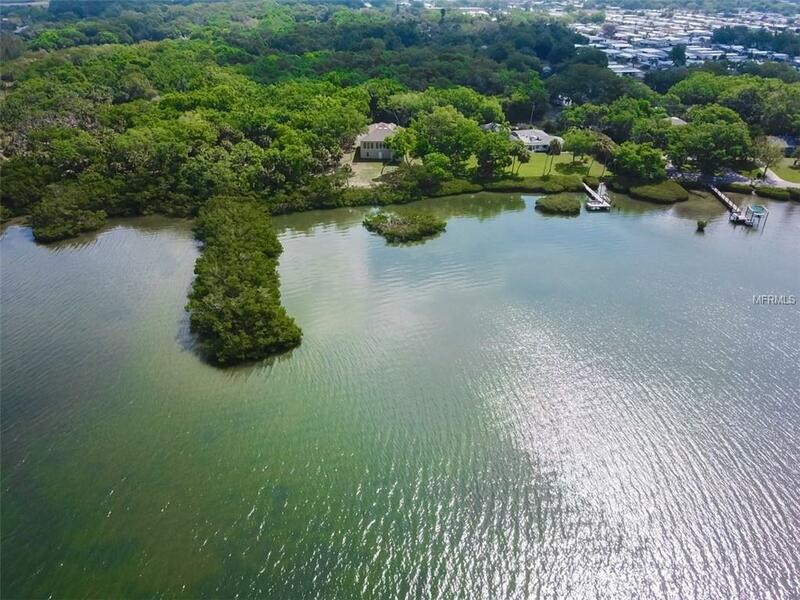 Enjoy this tropical slice of paradise overlooking Terra Ceia Bay w boating water & access to Tampa Bay & the Gulf. 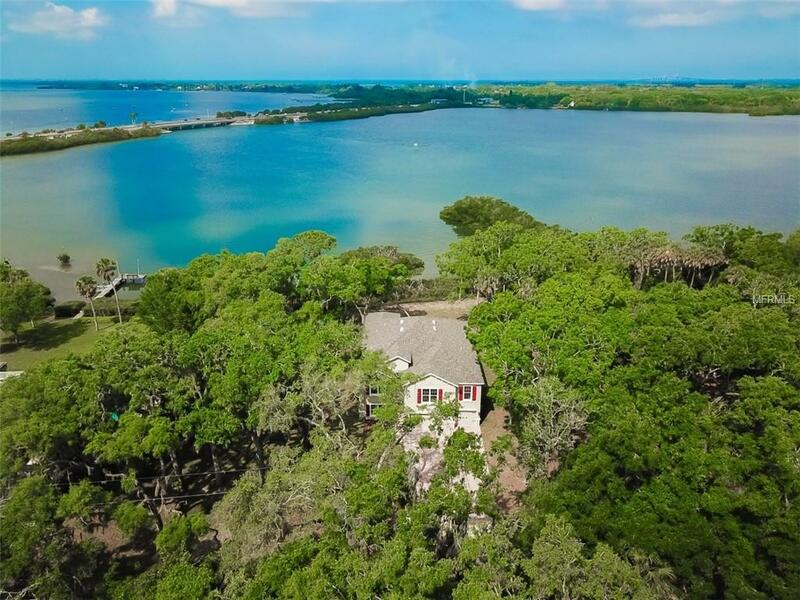 Gaze out at your view through an exceptionally wide expanse of 8 feet tall windows from your great room & kitchen & marvel the sites of dolphins at play, and fish jumping in the waters. Built to the highest standards, you are safe inside this structure built of concrete block construction on lower & upper floors, low- e, impact glass throughout & the most amazing contemporary interior finishes double stepped ceilings, niches, LED lighting, quartz & granite & imported, high-end, composite flooring. Don't be fooled by the exterior of this home - the house measures 75 ft deep & lives much larger than it appears from the front. Take the front stairs or the elevator from the ground floor to the living area. Three full bedrooms, office, plus a huge 18 x 29 flex space that can be a bonus room, bunk room for family, media room, in-law suite or whatever you want it to be. On the ground floor is a massive slab with a 3-bay garage door where you can park or store your toys, cars, boats, make a workshop or whatever your heart desires. 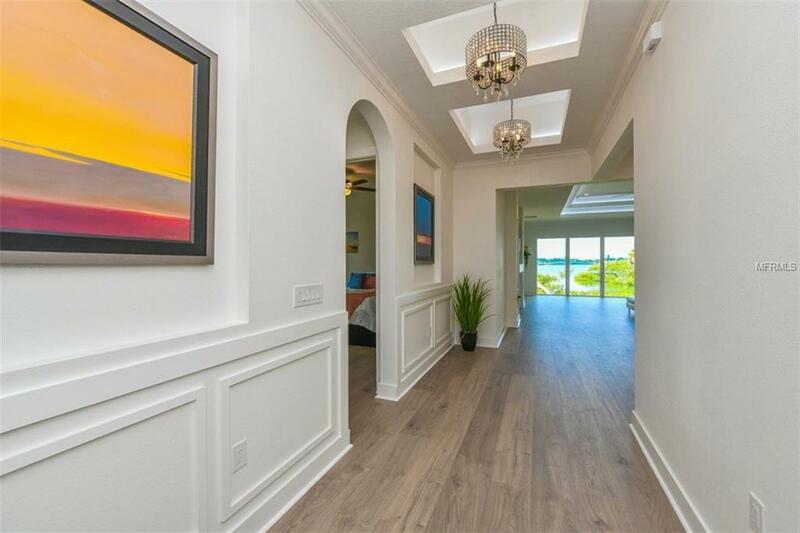 Within minutes to I-75 & easy access to downtown Bradenton, the beaches, St. Pete, Tampa & Sarasota, this one check all the boxes for a true Florida living experience.